Nearly 80 laps completed and three drivers qualified. These are the Emilia 4 first-day results at the Formula Sun Grand Prix, a qualifier race for the American Solar Challenge currently underway at Motorsport Park Hastings, Nebraska. 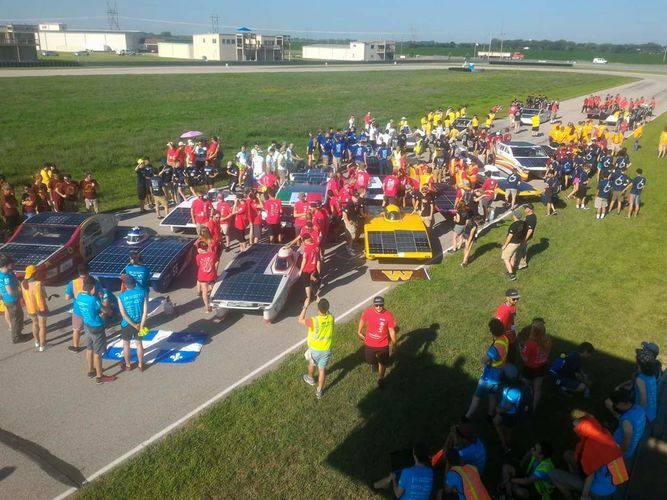 To become eligible for participating in the most famous solar car race in America, candidate cars must first complete 143 laps and get a fourth, and last, driver qualified. Twenty-four teams – with a total of over 400 participants, including drivers and assistants – have undergone the qualification tests, with some ten of them passing them with success. The participating solar cars have been designed by some of the world's most prestigious universities. 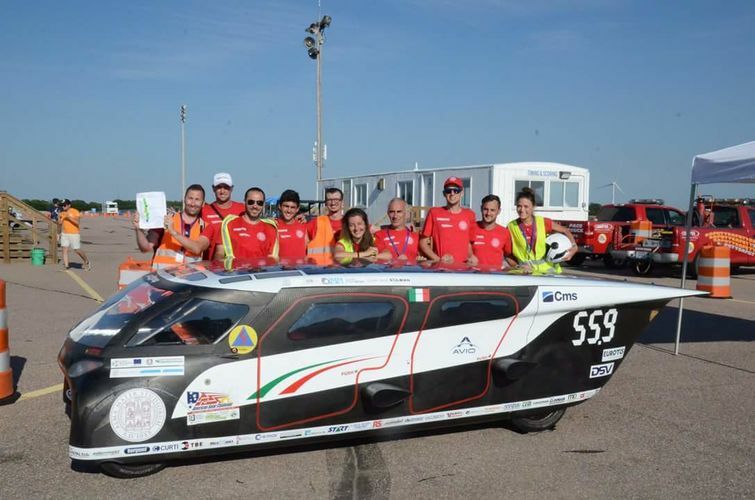 The Solar Wave car, a product of a technological partnership between the University of Bologna and Scm Group, with its Cms Advanced Material Division, is the only European team to take part in this race. It will compete against such top ranking institutions as the Canadian ETS and Polytechnique Montréal, the American University of Minnesota and Western Michigan University, and the Australian Western Sidney University. Stay tuned for the latest news from our team member Denise Dujmic.